For those who have been searching online for paramedic salary in Louisiana, you’ve come to the right place. In this article, we will break down the paramedic salaries for a variety of different cities within the great state of Louisiana. 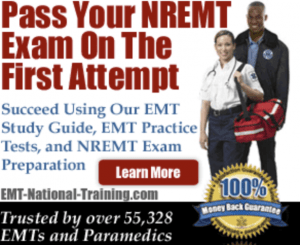 We’ll also cover the annual incomes for EMTs and flight paramedics too, so that prospective paramedics can get an idea for how much an EMT-P makes in relation to similar positions within the Emergency Medical Services field. So how much does a paramedic make in Louisiana? Well, let’s take a closer look. First, before we clearly define how much a paramedic makes in various cities within Louisiana, it’s important to know the ways in which the income of a paramedic can vary. One of the biggest factors that contribute to a fluctuation of income is of course the region one works, as some areas of the country (and certainly the world) pay working paramedics more than others. Another factor that can influence paramedic pay in Louisiana is work experience. Those who have prior job experience as a paramedic may earn more than those coming straight out of paramedic school. It’s also worth noting that the job of a paramedic can ultimately lead to career growth in the medical field. This can, by its very nature, lead to a larger salary. For example, a paramedic earns more money than an EMT, but a firefighter paramedic or flight paramedic usually makes more than an ambulance paramedic. Some licensed paramedics even decide to go back to school and take the Paramedic to RN bridge program, which allows them to work towards becoming a Registered Nurse. All of these varying jobs that relate to or bridge off from the role of a paramedic can affect one’s annual income. Before we get into any specific numbers when it comes to paramedic salary in Louisiana, let’s quickly cover a few important national statistics. Using Salary.com as our guide, let’s see how the salaries for EMTs, paramedics, and flight medics compare in the largest cities in Louisiana (by population). In New Orleans, EMTs make $30,196 every year. Paramedics make an average of $38,279 per year. And flight medics make $40,956 annually. In Baton Rouge, EMTs earn $26,560 annually. Paramedics earn $33,669. And flight paramedics make $36,024 in yearly income. In Shreveport, EMTs make $27,707. Paramedic salary is $35,123 annually. And a flight paramedic salary makes $37,580 every year. In Metairie, an EMT makes $30,196 in salary. Paramedic salary equals about $38,279, while a flight paramedic salary is $40,956. In Lafayette, EMTs make $27,823 per year. Paramedics earn $35,271 each year. And a flight paramedic pulls in $37,737 annually. If you’re currently looking for a paramedic job in Louisiana, it’s recommended that you visit our job board. There, you can search for hospitals and ambulatory services that are looking to hire educated and trained paramedics. In Louisiana, outside of the great city of New Orleans and Metairie, paramedics unfortunately earn less than the national average (according to Salary.com). Still, the job of a paramedic is one of the most important in all of America, as paramedics are required to act quickly in an effort to ease pain, administer emergency medications, and ultimately save lives. Regardless of the annual income, the work of a paramedic is truly priceless. For more on paramedic training, please visit our homepage. When it comes to EMT salary in Iowa, it’s important to always be aware of the actual income numbers.